A pearl coating creates a smooth background for a dusting of clear crystals, and two Kelly green crystal shamrocks glitter from either side. By buying this product you can collect up to 69 loyalty points. Your cart will total 69 points that can be converted into a voucher of $3.45. 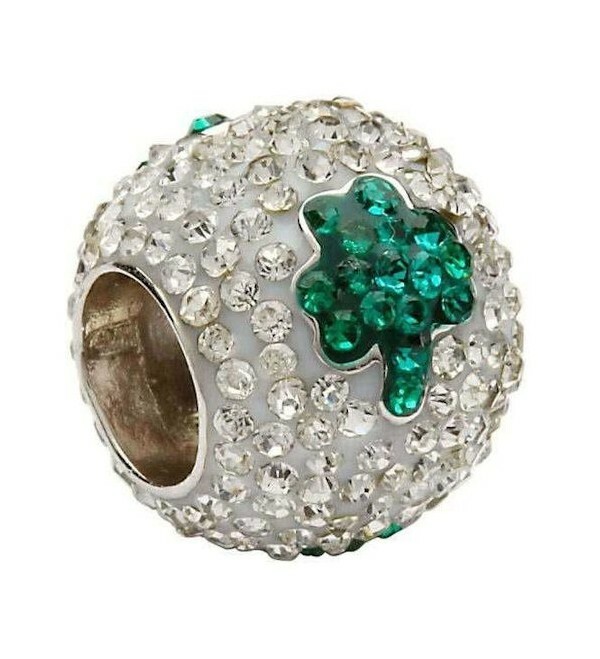 This sterling silver bead is no exception. A pearl coating creates a smooth background for a dusting of clear crystals, and two Kelly green crystal shamrocks glitter from either side. This bead slides onto any one of Tara's bracelets to join the other charms that form the owner's personal storyline. The shamrock, a beloved national symbol of Ireland, emphasizes the role that the Trinity plays in the country's heritage. The tri-leaved clover may hold holy significance for the owner, or refer to three qualities that she tries to embody, or stand for her family's Irish roots. 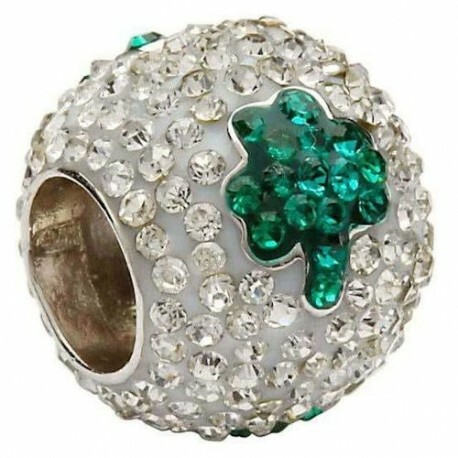 In any case, a shamrock so embellished would certainly serve to please and amuse. A woman who likes an antique but punchy style would give this bead a place on her wrist. It might imply her wish to season her everyday look with extravagance, to choose the impact of decorative detail over modest simplicity. She could intersperse other crystal-studded beads amongst gold and silver charms from the Tara's Diary collection, or let this one be the sole twinkling star, the charm that speaks for the overindulgent spirit within her.